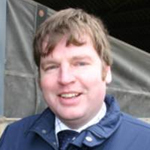 Peter Slark brings you the benefit of more than 10 years on-farm experience as a dairy consultant plus a practical background in dairy herd management. His expertise in business and financial planning, combined with his grassland management skills can help you achieve results on your farm. To receive further information about Kingshay One-2-One Dairy Consultancy please call 01458 851555 or email contact.us@kingshay.co.uk.